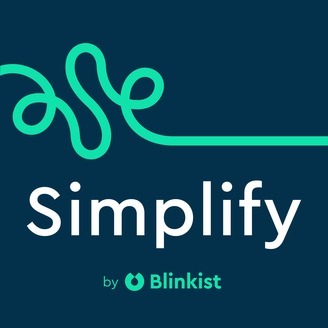 Simplify is a podcast for anyone who’s taken a close look at their habits, their happiness, their relationships, or their health and thought, “There’s got to be a better way to do this.” Hear ideas that get you to better from Gretchen Rubin, David Allen, Rebecca Traister, Dan Savage, Seth Godin and many more. Hosted by Caitlin Schiller and Ben Schuman-Stoler. 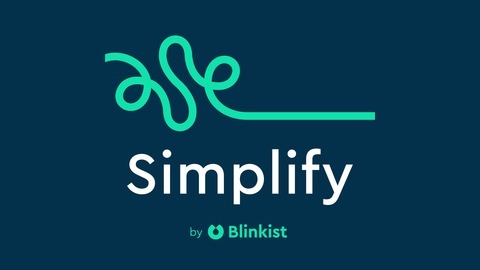 Brought to you by Blinkist. We're in the running for the Best Health & Wellness Podcast, pitted against huge shows like Dan Harris’s 10% Happier, and shows created by big publishers like Bloomberg and HuffPost. Just being nominated is a great honour because it means Simplify was considered to be in the top 10% of all work entered. But really? We’d love to win, and you can help by voting for us in the Webby People's Voice Awards by Thursday, April 18th! Just follow the link above (or visit one of our Twitter accounts) and choose Simplify for Best Health & Wellness Podcast. Then, check your inbox to confirm your email address for the Webby Awards—(otherwise, the vote won’t count)—and that's it! You’ll have taken us one step closer to winning. And on that note: if there’s one thing we’ve all learned over the last two years of making Simplify, it’s that there is no “I” in podcast. We’re so grateful to everyone who's listened, everyone who's been on the show, and everyone who works so hard on Simplify. To honor the whole Simplify audio group, we recorded this tiny, giddy, full-team bonus announcement in which you'll (finally) hear the voices of Ody Constantinou and Ben Jackson—and also get book recommendations from Caitlin, Ben, the other Ben, Ody, and Terence. Thanks for listening and thanks for voting!